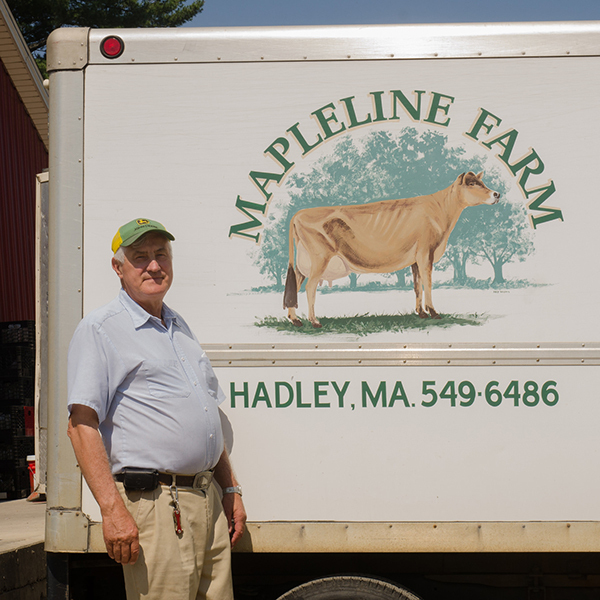 John Kokoski of Mapleline Farm, who is a UMass alumnus, and his team at Mapleline provide their local milk wholesale to large institutions like UMass Dining but also to small markets and cafes around the Pioneer Valley. The farm’s commitment to sustainability is strong. For example, wastewater from the processing plant is mixed with cow manure to produce a natural fertilizer which is used on their cropland. In turn, this fertilizer helps grow the crops that become food for the cows. Not only is this a sustainable system for the environment, it helps the farm maintain its economic sustainability. 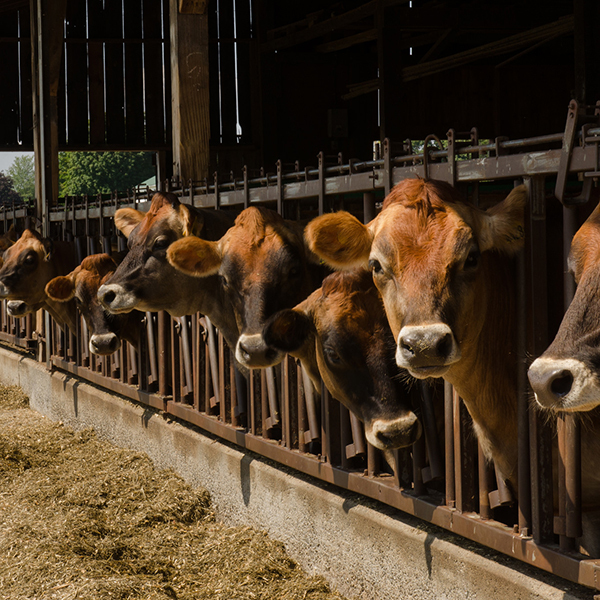 The quality of life for Mapleline’s 100-200 cows is high. John and his team make sure that their cows are happy and healthy at all times. The cows receive regular veterinary check-ups, aren’t treated with any synthetic growth hormones (rBST), and eat a mostly local diet. It’s a pretty good life! UMass Dining’s partnership with Mapleline Farm includes providing milk at Berkshire DC, Hampshire DC, as well as individual bottles at retail locations around campus.